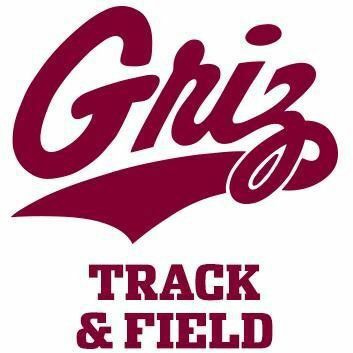 Montana split its track and field squad on Saturday, sending a handful of competitors to Los Angeles while hosting a home meet against fellow Treasure State athletes. Both locations saw several encouraging results, including 19 event wins in Missoula. Freshman Jethro Thorne earned his first collegiate victory with a PR of 23 feet, 0.5 inches in the long jump, while Dylan Kipp, a transfer from Ashland University, won the javelin with a top throw of 179-2. Additionally, freshman Rogelio Mares won the steeplechase (10 minutes, 26.57 seconds) and redshirt freshman Andrea Baratte won the 1,500 meters (4:03.03). The Johnstone twins, freshmen from Forsyth, competed in four total events, finishing in the top three in all four. Cade Johnstone placed second in both the 200 meters (21.65) and 400 meters (48.81), while Paul Johnstone was second in the long jump (22-10.5) and third in the 200 meters (22.03). The success was shared on the women’s side, as well, perhaps none bigger than the performance of sophomore Abby Dodge. The Butte native had a strong freshman season, winning the high jump at last year’s Montana Open and taking ninth at the Big Sky Championships. Saturday, though, she expanded her skill set. In addition to another win in the high jump (5-5.75), Dodge also competed in the triple jump for the first time, winning the event. Dodge jumped a distance of 38-4.25, better than any Grizzly in the past two seasons and the fourth-best mark by a Big Sky athlete this season. In the pole vault, Chloe Seferos had a lifetime-best jump of 11-9.75 to win her first career event. Holly Houston was also an event winner, placing first in the discus (season-best 153-10), in addition to a third-place finish in the shot put (40-5) and a PR of 146-4 in the hammer throw (fifth). Fellow thrower Kayla Holmes took second in both the shot put (season-best 41-8.5) and discus (134-2). Montana went 1-2-3 in the 800 meters with Megan Franz leading the way (2:18.05), followed by Mijah McLeod (2:21.50) and Erica Simison (2:23.71). Additionally, Montana’s women earned victories in the 100-meter hurdles (Morgan Sulser, 14.78) and steeplechase (Jessica Bailey, 11:27.97), and took second 12 times, including by: Mariah Harvey (hammer throw), Kayla Holmes (shot put and discus), Carrie Jacka (pole vault), Hannah Kearns (long jump), Jaree Mane (100-meter hurdles and javelin), Carla Nicosia (triple jump), Emma Normand (100 meters and 200 meters), and Hannah Wylie (18:17.10). Lowry, the defending Big Sky Conference Women’s Track Athlete of the Week, took second in a loaded field of 15 runners in the 1,500 meters, including six runners from UCLA and a pair from Oklahoma. Lowry led UCLA’s Gwyn George — who took third — by less than a half second with 400 meters remaining, but finished strong to best George by more than 2 full seconds. All five of Feilzer’s marked throws went at least 183 feet. UCLA’s Alyssa Wilson, the event winner, was the only other thrower to reach that distance even once. In the discus, Feilzer also had a season best, reaching 153-0. She was one inch from third place and 13 inches from second place, trailing only athletes from Oklahoma and UCLA. Junior Matt Quist had a strong day in the men’s high jump, placing second out of nine jumpers. He cleared 6-7.5 on his first attempt, finishing behind UCLA’s Stan Lee.